Come and work with one of the world’s leading harpists in an intensive course set in a relaxed beach-side atmosphere. All ages and level of player welcome – from beginner to professional! Download the Summer 2019 Application Form. Last year the course booked out really quickly, so make sure to get your applications in soon, and don’t wait until the deadline – the course may already be booked out by that point! For more information, download the Summer 2019 Brochure. 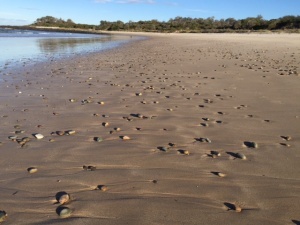 Visit the ANU Kioloa Coastal Campus site for more general info: http://kioloa.anu.edu.au/. Watch Heidi Lehwalder and Alice Giles in a conversation about Kioloa. Heidi was a guest teacher at Kioloa during the 2015 Course. If you are unable to attend the 2019 summer course, make sure to have these dates in your diary! More details coming soon. The inaugural Winter Kioloa course was a great success, and will become an annual event. We had lovely weather, ideal for walks on the beach and in the forest. The participants were able to focus on observing and practising, as well as participating in some ensemble playing, an evening of harp maintenance, and of course no Kioloa course would be complete without a yoga session with Diane Gray. The course concluded with a presentation on the harp for a full house of enthusiastic local residents. This included a first performance of a piece by participant Chris Clark “I left my harp in Mexico” for the full ensemble. 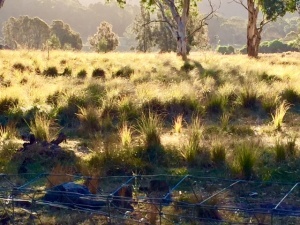 The 13th Summer Course in Kioloa was once again a wonderful shared experience of harp playing, swimming and kangaroo observations. The beautiful campus is conducive to learning new things and feeling rejuvenated by work and friendship. 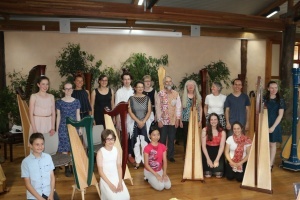 Participants ranged from 9yrs to mature age, beginner to professional harpists, enabling a wide variety of interest in observing lessons, discussing the basics of learning the harp as well as ways to think about interpretation and repertoire. Jacinta Dennett provided much food for thought in her Essential Gesture class, which we were able to bring into the way we talked about our gestures in lessons; Dr Georgina McAuliffe gave an eye-opening introduction to Self-hypnosis for Performers, which caused some ah-ha moments amongst the participants; Yoga class with Diane Gray was a welcome relaxation after a week of harp work; and the public concert featured ensemble and highlights of everyone’s solo repertoire. The Teaching Seminar covered a wide range of topics of interest to emerging and experience teachers, with discussions and presentations from all the participants, including using improvisation and imagination, AMEB repertoire and Healthy Harp Playing.